University of British Columbia, M.Sc., 1961. Massachusetts Institute of Technology, Ph.D., 1965 (with G. Büchi). Assistant Professor, Harvard University, 1967-1971. Associate Professor, Harvard University, 1971. Associate Professor, Oregon State University, 1971-1976. Professor, Oregon State University, 1976-1992. Distinguished Professor, Oregon State University, 1992-2003. Distinguished Professor Emeritus, Oregon State University, 2003-present. John Simon Guggenheim Memorial Fellowship, 1988-1989. F. A. Gilfillan Memorial Award, Oregon State University, 1996. Centenary Medal, Royal Society of Chemistry, U.K., 1999. Wyeth-Ayerst Research Award, Columbia University, 2000. 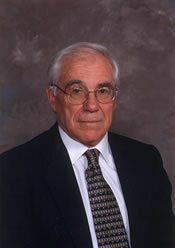 Arthur C. Cope Senior Scholar Award, American Chemical Society, 2003. Medical Research Foundation of Oregon Discovery Award, 2004. Oregon Acedemy of Sciences Outstanding Scientist, 2006.